Review Australia worked with Arkade to develop a new way to engage and interact with their known customers in a meaningful way. At the time, Review had a traditional loyalty program in place but in its delivery format, was found to no longer be engaging for customers. Primarily it was discovered the program delivered membership information and benefits through disjointed channels, had little thought to benefits and relevance and (as was the norm at the time), the added inconvenience of the need to carry a plastic membership card. One initiative designed and developed with our team to improve these important aspects was a brand app. Replacing plastic membership cards and ensuring the brand had pride of place on their customers’ favourite device – their Smartphone – the app was to be purposefully designed to deliver an exceptional experience for Review customers. 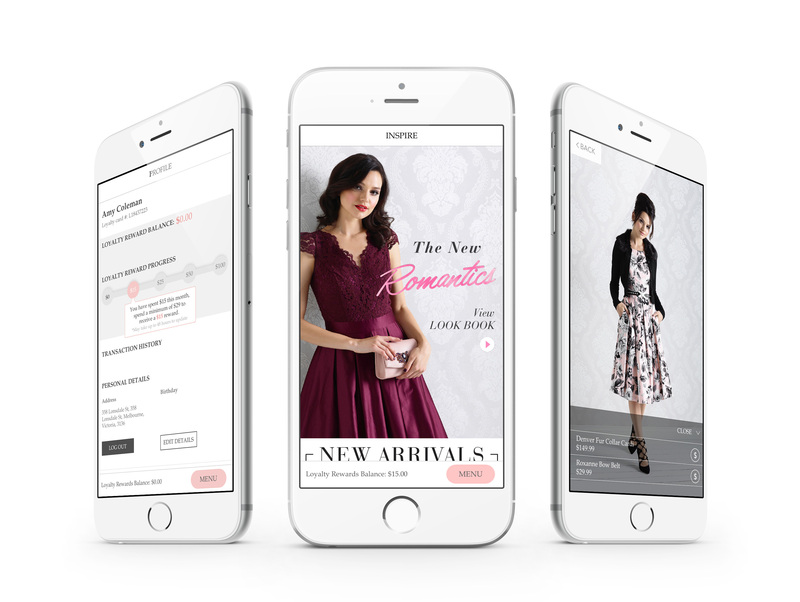 For the brand, developing content for the ever-increasing number of consumer channels they use is time consuming, so it was important that the app was easy to merchandise with fresh content. We needed to ensure the platform was simple to use and quick to upload content to members. The existing Review customer was also comfortable within the current monthly communications cycle, so new functionality would be required to make the jump to using the app worthwhile. While they didn’t necessarily use their membership card, they were accustomed to it and in not providing any additional information to the brand that would augment their experience. By doing so however, both the brand and the customer were missing out on valuable and engaging experiences and interactions. We needed to find a way to bridge this gap and create a mutually beneficial channel. 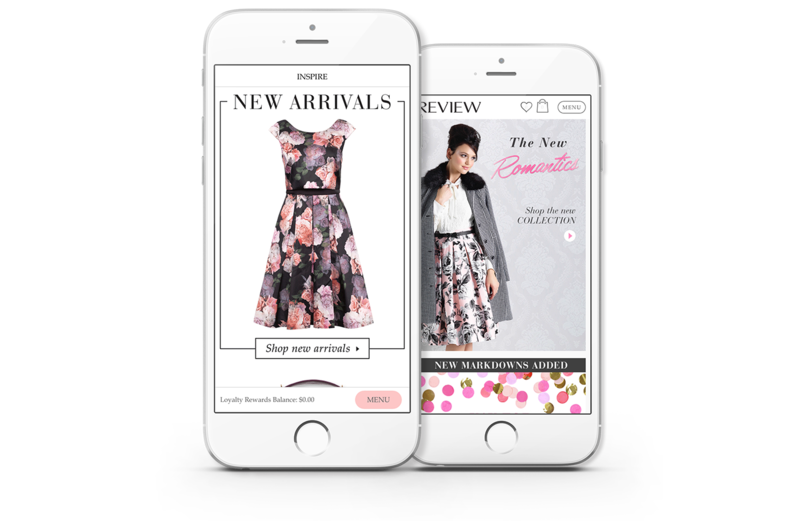 target content and offers to dynamic user segments, including content that users can ‘unlock’ based on their behaviour and location. author and send segmented push notifications to users informing them of rewards and offers based on both their profile attributes, activity and behaviour. Customers using the app are consistently logged in, giving them access to all profile, offer and full transaction history, as well as the ability to shop online (within the app) and in-store without needing to remember/re-enter a username and password. 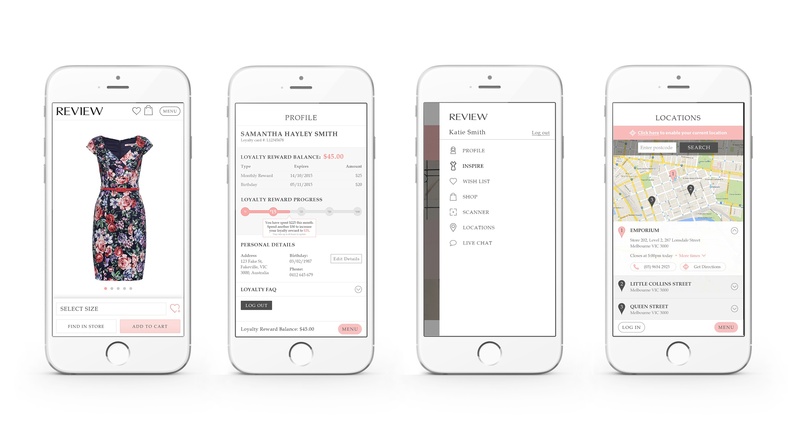 By providing benefits such as special offers, new content and styles, communications preferences, wish lists, transaction history and in app shopping, membership card and profile management, the app served both relevant content and functionality that was valued by Review customers. As a result app downloads, usage and engagement surpassed expectations and has become a core channel for the Review brand.